In the Maremma many cities present famous folkloristic events, signs of a culture sensitive to its past and firmly rooted in local traditions. In Massa Marittima, the spectacular Balestro del Girifalco (Gyrfalcon Crossbow) is held at the end of May and on the second Sunday of August, with performances by crossbowmen and flag-bearers famous for their participation in events abroad as well. At the Port of Santo Stefano on the 15th of August, and in Castiglione della Pescaia on the first Sunday after August 15th, the Palio Marinaro boat race is held. 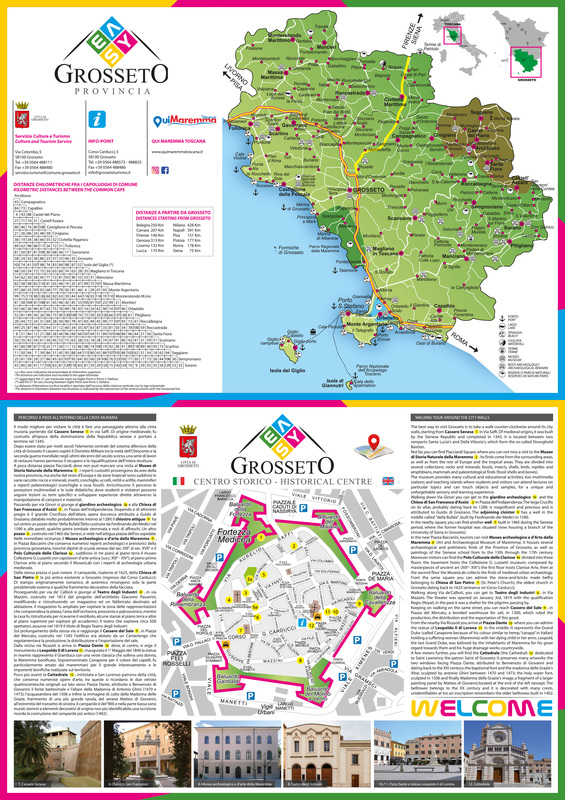 On the 9th and 10th of August, Grosseto celebrates the festival of San Lorenzo, patron saint of the city. On the evening of August 9th, a procession takes place that also includes Maremma cattle herders on horseback, with the statue of the saint hoisted on a wagon fitted with a medieval bell. In Alberese, on the 1st of May, the Merca del bestiame (Cattle branding) takes place, in which cattle herders burn brands on foals and bullocks. On August 15th, the Torneo della Rosa (Rose Tournament) is held, a quaint contest on horseback featuring the most skilled cattle herders attempting to tear a rose from the lapel of each other’s jackets. In Casteldelpiano on the 8th of September the Palio dell'Amiata takes place, in which knights from the town’s four districts engage in a contest around the main square. In April in Montorgiali, near Scansano, a procession of four knights dressed in historical costumes makes its way to the Sanctuary of Saint George, in remembrance of the legend of the saint who slew the dragon. Maremma features countless events throughout the year: concerts, traditional celebrations, festivals, exhibitions and theatrical performances. We recommend consulting the events calendar published on the site, which is continuously updated. Among the many events, we note: in March, the traditional Torciata di San Giuseppe procession and bonfire in Pitigliano, in April the festivals of Pasquavela and the Fiera del Madonnino fair, the gatherings of Maggerini (May singers) on the night before May 1st. In June, July and August we flag the Festambiente event, of national renown, and the concerts of the Grey Cat Jazz Festival. Do not forget the theatral season of grosseto's theatres and the melodrama season in massa Marittima. In September the Festa del vino (Wine festival) in Scansano, the important food and wine Gustatus event in Orbetello, and the Focarazza rite of Saint Catherine on the evening of the November 24th. CONCERT "O LA BOSSA O LA VITA"